Customers “Trust” is the most impotent aspect to get more sales. 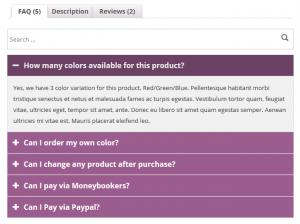 The Simple WooCommerce Shop doesn’t have any features to increase customers’ trust. So what features could do this job? What do you need to solve this issue? Activity! They don’t know the popularity of your store and the product you sale, they don’t want to be the first buyers. People have a herd mentality and you should show other customers’ engagement. They need to be sure this store and this product have a good reputation and many customers. Question! Many customers leave your store because of unanswered questions. 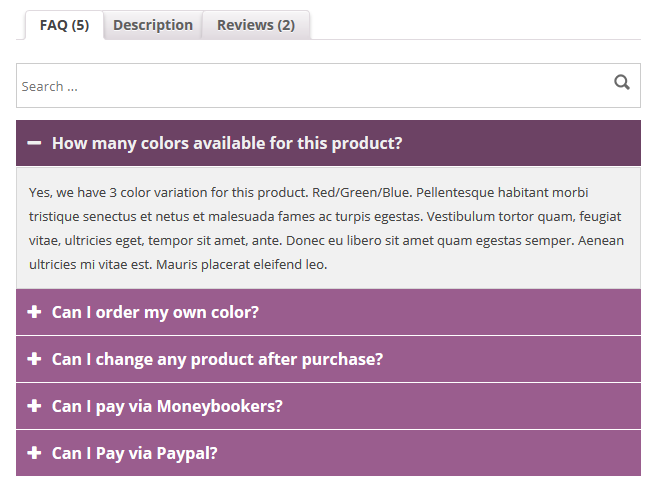 There is not any “Product Description” which could include answers of all customers’ questions. You should allow your customers ask Pre-Sale Questions or provide with list of frequently asked questions and answers. Communication! Yea, it increases customers’ trust very well. I don’t talk about Chat Support or Phone Support. Those are only for the current customer and those don’t have any permanent result on your store. Also many customers don’t like chat and don’t like call. 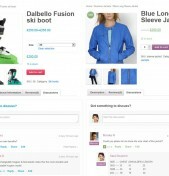 I’m talking about simple commenting solution under product page which will stay there permanently and all customers will be able to read others Q&A and to be engaged in this discussions. 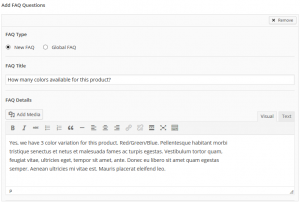 WooCommerce product comments and discussion Tab. Allows your customers to discuss about your products and ask pre-sale questions. Adds a new “Discussions” Tab next to “Reviews” Tab. 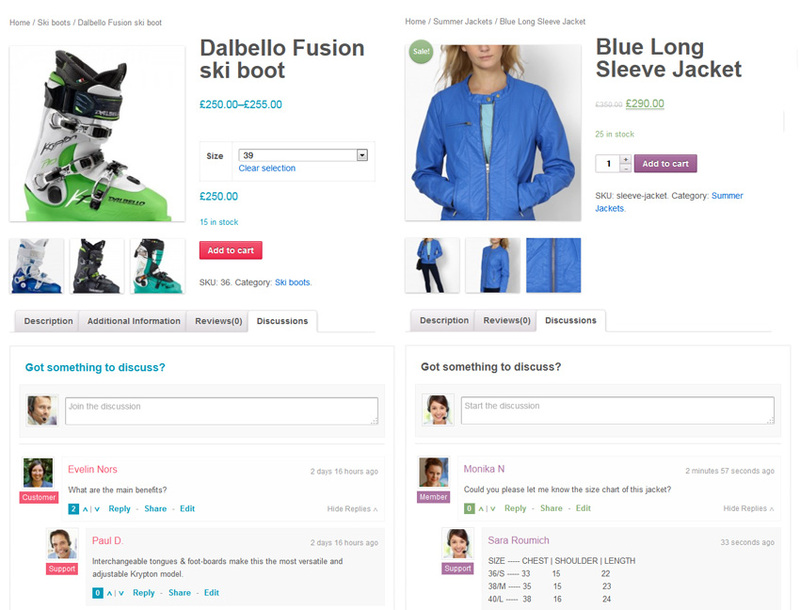 Your shop visitors will thank you for ability to discuss about your products directly on your website product page. 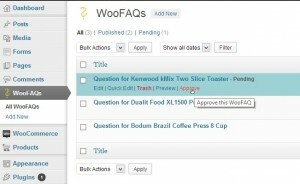 WooDiscuz also allows to vote for comments and share products. 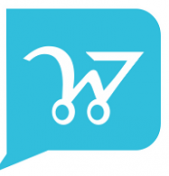 WooDiscuz helps you increase your sales! 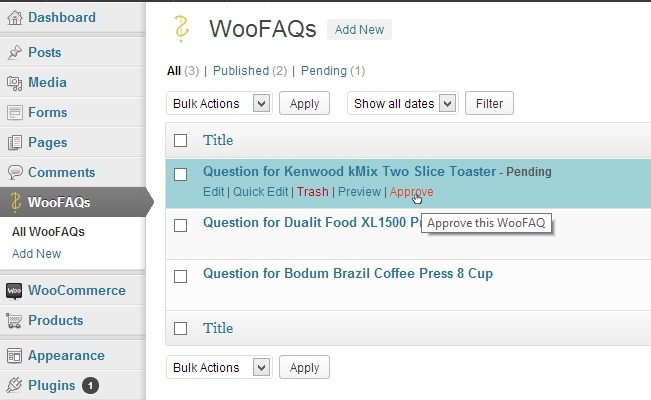 It extends WooCommerce to allow visitors to ask questions about specific products, get answers, and view other threads. 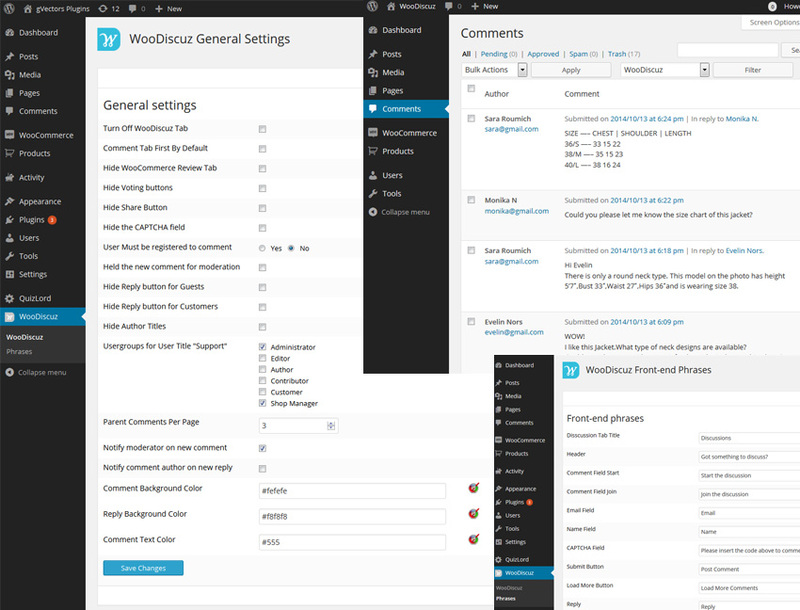 This plugin requires WooCommerce 1.6.6 or higher, though 2.x is preferred. AYAH (Are you a human?) anti-spam. Google it. “Honeypot” input field. 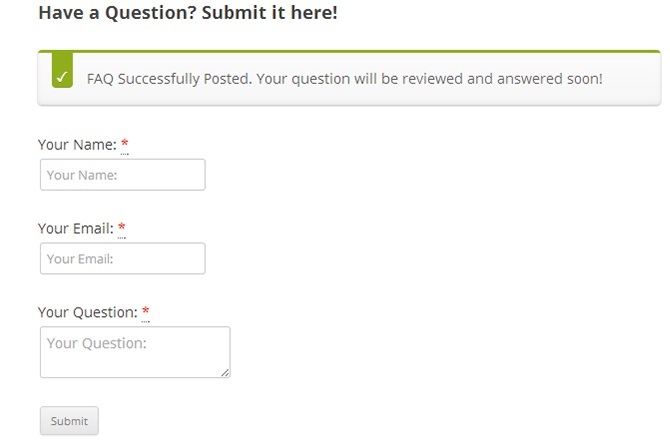 This adds an extra field to the form, hidden with css, that will cause submissions to fail if it is filled out. 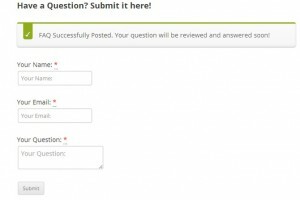 WooCommerce Product Faq Manager provide you a great way to create unlimited no of faq questions and answers for your product. 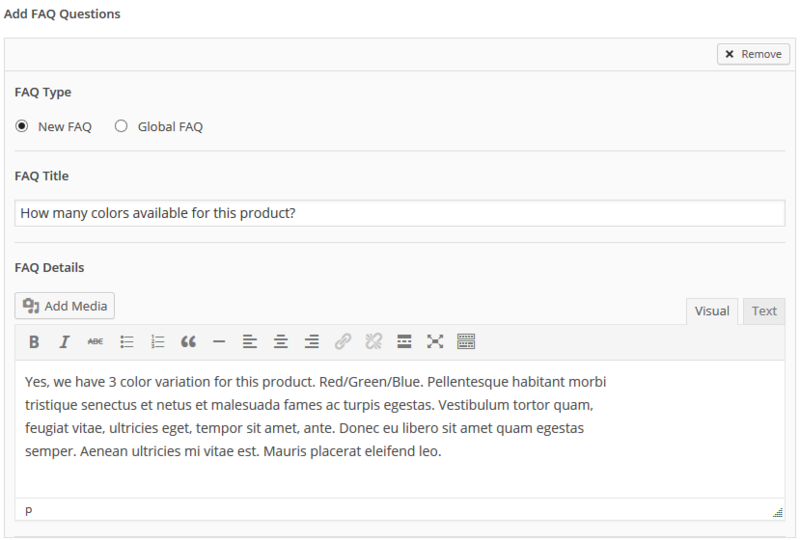 You can easily add unlimited no of FAQ’s in product tab. 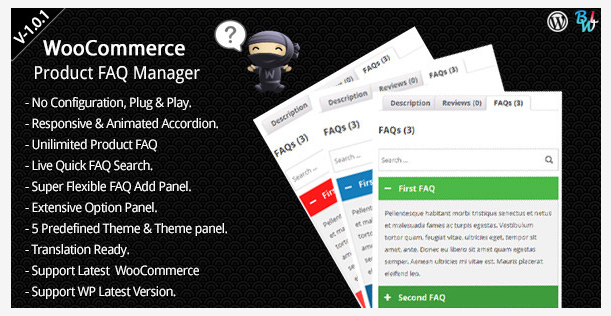 Super easy and flexible admin interface gives you great user experience to create FAQ items.